A crash course in trademarks and copyright for domain name investors. What do domain name investors and domain developers need to know about trademarks and copyrights? 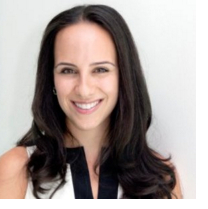 Daliah Saper of Saper Law gives a quick crash course on today’s podcast, including trademarking a domain name. I consider myself well-versed in this topic, but I learned quite a bit. You will too. Also: a long wait for more top level domains, GoDaddy earnings, Donuts Labs, say goodbye to .gb, and Mrs. Jones wants to go to Washington. Great and informative podcast as always Andrew. Glad to see PodcastGuests launched. Great idea for a service.